In an effort to better manage my bipolar, I have recently turned to the use of essential oils. They’ve provided that little extra support I’ve needed, in addition to my medication. I was a little naive about the connection between essential oils and stress, I only ever thought of using essential oils because they smelled good! But, I have learnt a heap about the benefit of essential oils on my mental health and have used some essential oil blends for stress relief, anxiety, focus and general mood balancing with great success. I like to use my essential oils in a few ways, but my favourites are with a diffuser and making my own essential oil roller blends using the essential oils I already have and fractionated coconut oil. Unlike the usual coconut oil used to cook with, fractionated coconut oil always remains as a liquid. I use fractionated coconut oil not only to make up my own oil blends with my Doterra oils, but I also use it when I apply oils on my children’s skin. Sometimes when you apply an essential oil to sensitive skin, it can burn a little. To protect the skin, it’s always good to apply a small amount of FCO and dab the essential oil on top. Because FCO is a carrier oil, it carries all the benefits of the essential oil through to the skin and does not block it. This is also why it’s perfect for preparing essential oil blends for stress in a roller bottle. With bipolar, my moods tend to fluctuate quite frequently which is when I heavily rely on my oils to ground me. I’ve put together some diffuser and roller blends using the best essential oils for stress. When deciding on the number of drops of essential oil you should add to your essential oil diffuser, consider the size of the room. The recipes I provide here are a guide only and are for the average size room. If you are diffusing a small bedroom, you may need to use fewer drops, but on the other hand, if you are diffusing a large open plan living area, you may need to use a little more. Using essential oils is definitely about trial and error. I have found I’ve had to adjust the amount of oil I’ve used on many occasions. I tend to like a very strong smell while others may prefer something more subtle. To purchase any of these essential oils click >> here. Making up your own essential oil blends for stress relief is a lot of fun and can get quite addictive. There are so many different blends you can make by popping them into a roller bottle; it’s all about experimenting to determine what blend works for you and what smell you love. You can purchase 10mL essential oil roller bottles >> here for a very reasonable price. Essential oil roller bottles are the perfect size to keep one in your handbag, one on your desk, one in the car or wherever you’ll need to dab a little on your skin in times of stress. I find it a lot easier to use a small dropper when putting together my own essential oil rollers. I found this old one from some baby medicine we’d used in the past. 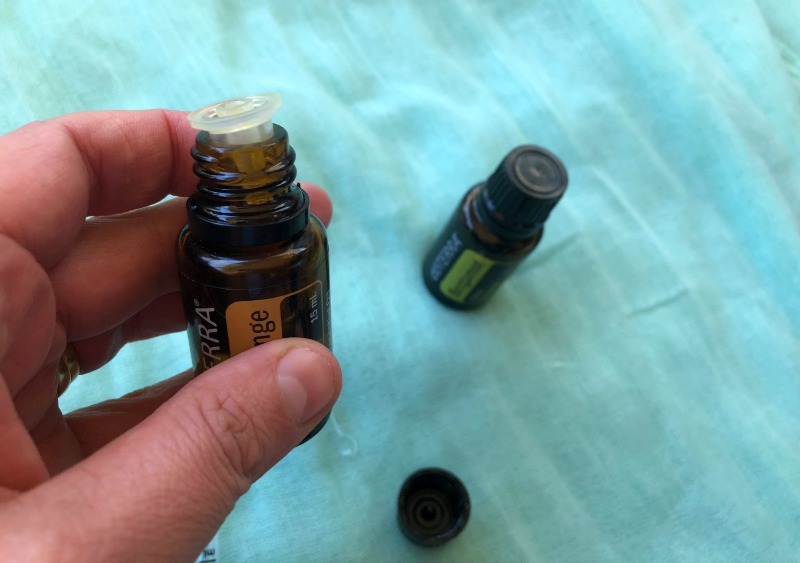 It’s easy to take the inner lid off Doterra oils and stick the dropper in to draw out a small amount of oil. You then simply drop the required amount of oil into the roller vial and top up the roller bottle with fractionated coconut oil. 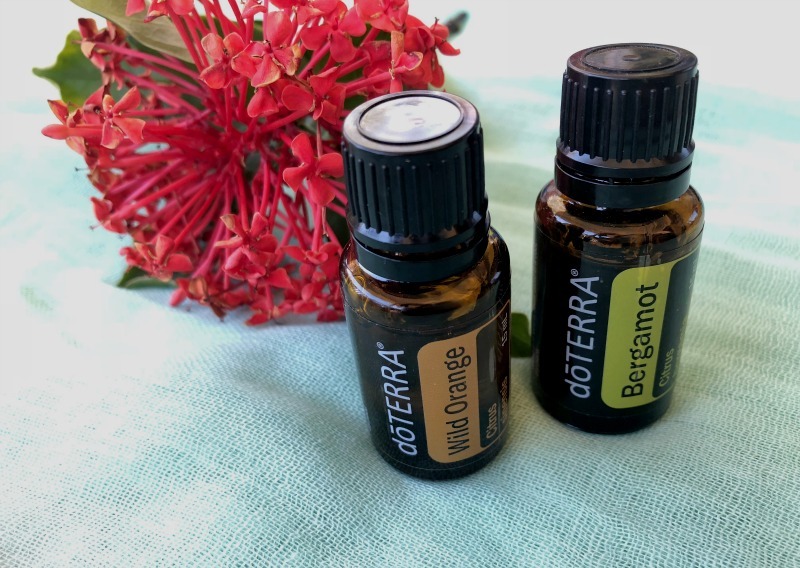 Here are a couple of essential oil roller blends for stress that I love. Drop the essential oils into the 10mL roller vial. Top up with fractionated coconut oil. Click the roller ball into the top of the vial. Replace the lid. Shake to combine. To purchase any of these essential oils click >> here.. I can definitely say that using essential oil blends for stress relief has helped with some of my bipolar symptoms. Essential oils may not completely eradicate stress or anxiety symptoms for me, but, they most certainly take the edge off and help me gain more clarity and grounding. I’ve also tested essential oils on my children sometimes during tantrums, and they really do work. That is another separate blog post altogether so stay tuned! Previous Post Healthy Coconut Cookies That’ll Have You Wanting More!